They can work with most military vehicles and equipment, as well as wide range of civilian and motor sport vehicles. 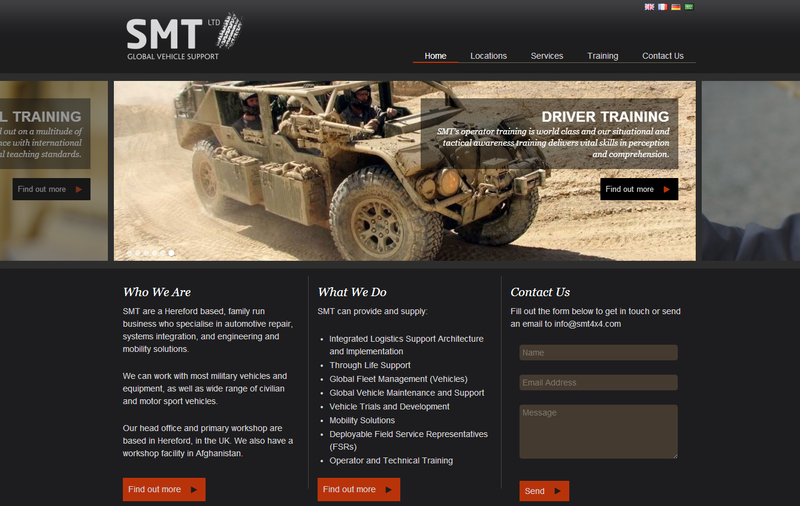 SMT have their head office and primary workshop based in Hereford, in the UK and a workshop facility in Afghanistan. Their website can be viewed at www.smt4x4.co.uk.